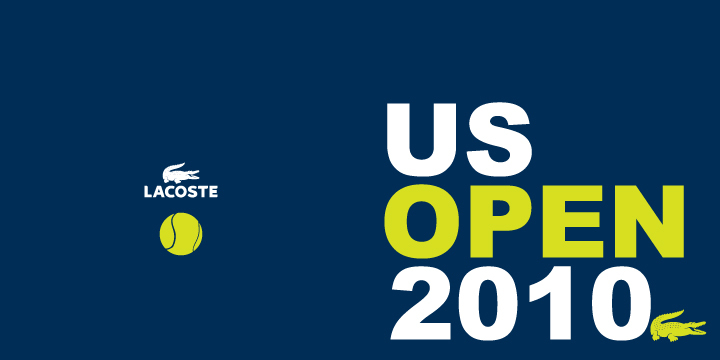 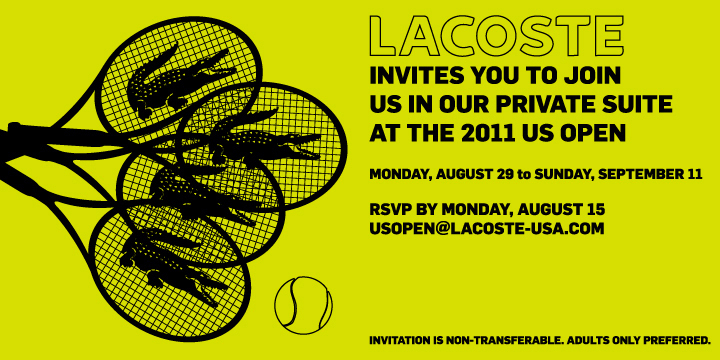 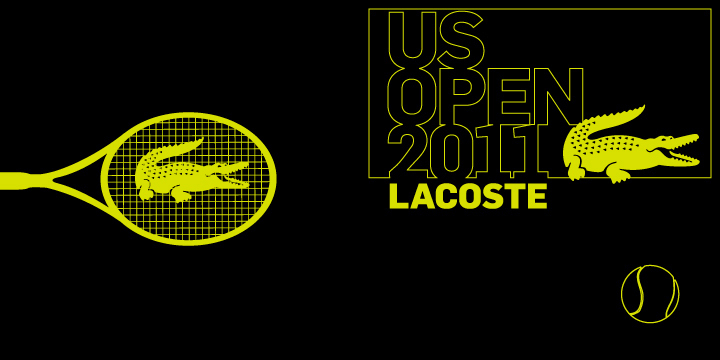 Lacoste hosted a suite every year in Flushing Meadows for celebrities and other guests to watch Lacoste endorser Andy Roddick play in the US Open Tennis Championships. 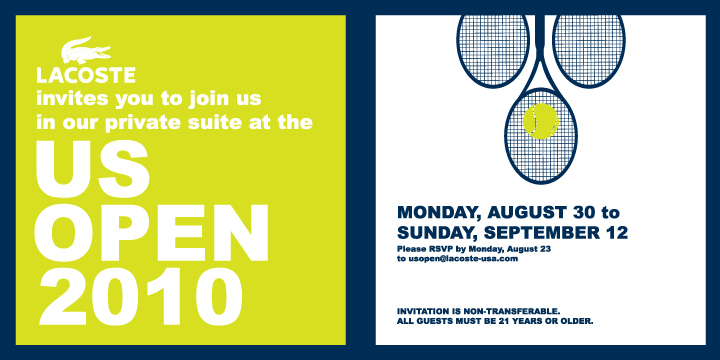 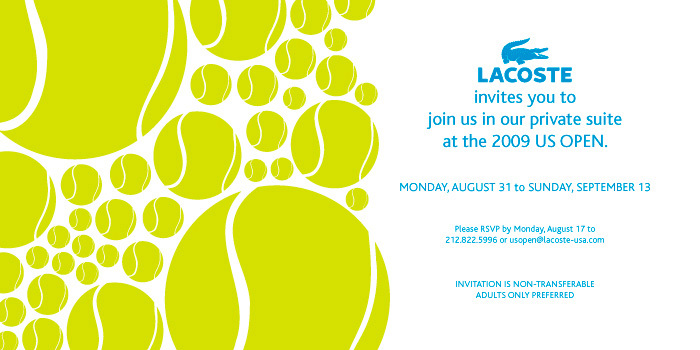 As part of our outreach we created invites every year: in Year 1 I utilized a flat design featuring a silhouette of Andy I created from one of our marketing photos, along with a color scheme inspired by tennis balls. 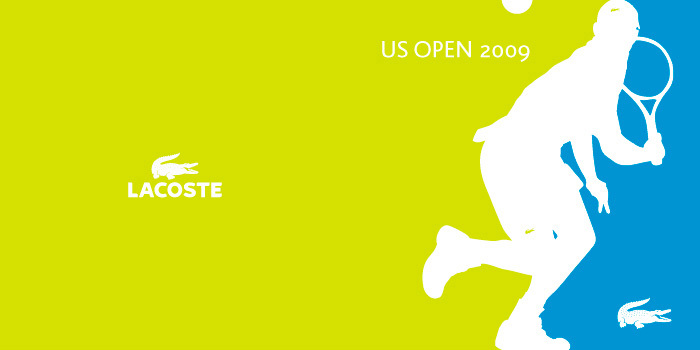 Then, in Years 2 and 3, I used chartreuse again along with different contrasting colors, and carried elements from year to year where I could, to create a unique feeling for each while remaining familiar.